Although past performance can never guarantee future results, the two nations (China and Egypt) with the biggest burden of human avian flu cases are about to enter what has traditionally been their `avian flu season’ – which runs from about November through May. Egypt, with H5N1 endemic in their poultry for nearly a decade, saw the worst H5N1 outbreak on record last winter, more than quadrupling their previous yearly total in just 5 months (n=167 cases). China has seen a winter epidemic of H7N9 each year since the virus first emerged in the winter-spring of 2013 (see chart above), and already four cases have been reported from Zhejiang province. Given that both viruses can present with a wide range of severity and/or symptoms, and that surveillance and testing can be spotty in both countries, the true burden of these viruses isn’t known. It is likely that some - possibly substantial - number of cases go unidentified each year. Most (but not all) cases are linked to poultry exposure, often through visiting live bird markets. Household clusters, while less common, have been reported in both countries, and this week we learned of China’s first `probable’ nosocomial’ transmission of the H7N9 virus. Over the past two winters we’ve also seen imported cases of H5N1 (see Case Study Of A Neurotropic H5N1 Infection – Canada) and H7N9 In Two Travelers Returning From China, into North America. While rare events, these cases illustrate how easily a novel virus can hop an airplane and cross oceans. Complicating matters, both China and Egypt tend to hold their bird flu cards very close to their vest. They don’t go out of their way to publicize cases (to put it nicely), often bury case reports in infrequent epidemiological reports, and maintain firm control over what the local media prints. While some reports escape, we have a poor sense of the day-to-day level of bird flu activity in both countries. Which means that travelers need to practice common-sense precautions while in these countries, regardless of whether outbreaks are in the news. Yesterday the CDC updated their traveler’s notices for both Egypt and China in anticipation of this winter’s return of avian flu. CDC recommends that travelers to Egypt protect themselves from H5N1 by avoiding contact with wild birds, live or uncooked poultry, and body fluids from birds and poultry. According to the World Health Organization, 667 cases and 229 deaths from H7N9 flu have been reported globally from March 2013 through October 14, 2015, most from the mainland of China. Cases have been confirmed in the following administrative areas of China: Anhui, Beijing, Fujian, Guangdong, Guangxi, Guizhou, Hebei, Henan, Hubei, Hunan, Jiangsu, Jiangxi, Jilin, Shandong, Shanghai, Xinjiang, and Zhejiang. Smaller numbers of cases have been identified in travelers from Hong Kong, Taiwan, Malaysia, and Canada. CDC advises people traveling to China to avoid contact with poultry (including poultry markets and farms), birds, and their droppings. There are no recommendations against travel to China. Avian influenza A (H7N9) is an influenza (flu) virus found in birds that does not normally infect humans. However, in spring of 2013, China began reporting infections with the virus in people. Most of these infections have been associated with contact with infected poultry or contaminated environments (such as poultry markets) in China. Early symptoms are consistent with seasonal flu and may include fever, cough, sore throat, muscle aches and fatigue, loss of appetite, and runny or stuffy nose. However, infection with this virus often causes severe respiratory illness and, in some cases, death (see http://www.cdc.gov/flu/avianflu/h7n9-virus.htm). Clinicians should consider the possibility of avian influenza A (H7N9) virus infection in people presenting with respiratory illness within 10 days of travel to China, particularly if the patient reports exposure to birds or poultry markets. Although most H7N9 cases have resulted in severe respiratory illness in adults, infection may cause mild illness in some and may cause illness in children as well. 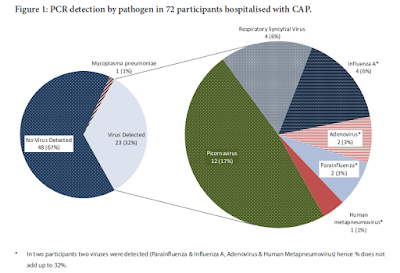 Influenza diagnostic testing in patients with respiratory illness of unknown etiology may identify human cases of avian influenza A or new cases of variant influenza (such as human infections caused by influenza viruses from pigs) in the United States. Patients with H7N9 are expected to have a positive test result for influenza A virus via reverse-transcription polymerase chain reaction (RT-PCR testing) that will be unsubtypeable by most assays. Nonmolecular rapid test results may be variable. Clinicians who suspect avian influenza A (H7N9) should obtain appropriate specimens and notify their local or state health department promptly. State health departments should notify CDC of suspected cases within 24 hours.